Anti virus software helps in protecting your computer(s) from viruses. However, simply installing anti virus protection is not enough. There are spyware and adware threats that your anti virus software might not be able to tackle. To keep your computer clean of all malware, you also need antispyware in addition to anti virus protection. Though most anti virus packages carry antispyware protection, I recommend you to have a separate antispyware such as the free Windows Defender (which comes pre-installed with Vista and Windows 7; you need to download Windows Defender from the Microsoft website for Windows XP). Plenty of other free antispyware programs exist for non MS operating systems such as: Anti Virus Guard (AVG). In addition to the anti virus software and antispyware, you also need a good firewall. Some of the anti virus software comes with built-in firewalls but most of them are just anti virus protection. For Vista and Windows 7, you can use the default Windows firewall as it is strong enough. For previous versions of Windows, I suggest using ZoneAlarm or Comodo Firewall. You can check out the top ten Firewall comparison based on my experiences with different firewall software. You can also include other security software that tells you if you are visiting a clean website, phishing filters, anti spam software, etc. Plenty of reviews exist on Brighthub that help you decide what all computer security software to use, based on how you use your computer. I also use Winpatrol to make sure that none of the external programs change my computer/Internet settings. To sum things up, you need a minimum of three components to stay safe while computing, especially if you spend most of your time on the Internet. They are: Anti Virus Software, Anti Spyware Software, and a Firewall. You can include additional security software if you wish. Note: For best anti virus protection, use only a single anti virus package. Using more than one anti virus software will create conflicts that may ruin your computer security. If you install an external firewall, remember to turn off Windows Firewall from Control Panel. Now that we know the basic components of computer security, let us check out some of the best antivirus software on the market. Microsoft Security Essentials is one of the best anti virus softwares available in the free market. The only requirement for using Microsoft Security Essentials (MSE, for short) is that you should be using a genuine copy of Windows. MSE is not only free to use, but it counters the latest virus as well. A successor to Microsoft OneCare (a discontinued product), this anti virus software contains components that deal with spyware and adware as well. The real time scanning makes sure that any virus or spyware is stopped before it takes over. It constantly monitors Internet connections, downloads, email attachments, removable media, and more. 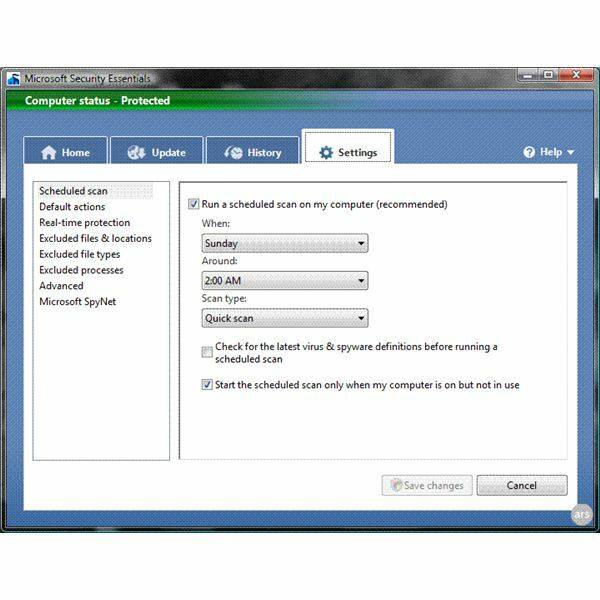 If any virus/spyware is found, it gives out an alarm and offers you the option to delete the virus/spyware even before it enters your computer. The only drawback of MSE is that it does not carry a built-in firewall. You can use it in conjunction with Windows firewall or any other third party firewall. You can download Microsoft Security Essentials from the Microsoft website and use it without paying anything. The anti virus software from Comodo is also one of the best antivirus softwares available in the free market. Comodo offers several free and paid products for computer security. It includes anti virus, antispyware, firewall, phishing website identifier, email authentication software and more. You might like to visit Comodo.com to check out the list. Coming back to Comodo antivirus, it is available as a standalone software and as a package that contains antivirus, a firewall, and several antispyware components. The package is called Comodo Internet Security Suite. 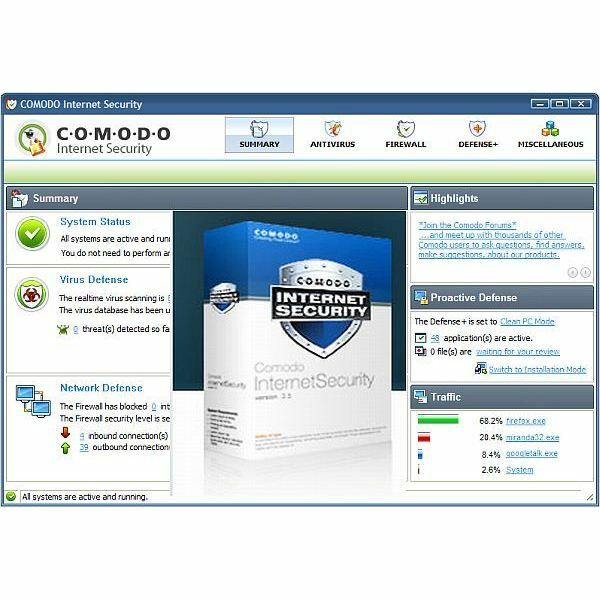 There is another package named Comodo Internet Security Pro. This is different from the Internet Security Suite and is not free to use. It is a trialware (offers 30 day of fully functional protection). If you wish to use the “Pro" version, you need to purchase it after the trial period is over. The advantage of using the Comodo Internet Security Suite Pro is that you will get 24 hour customer support that is not available with the free Internet Security Suite. The standalone antivirus from Comodo also includes optional installation of the Comodo firewall. You may or may not opt to install Comodo firewall when running the installer. As both the Internet Security Suite and standalone anti virus are free, I would suggest you go for the free Internet Security Suite as it offers an all round security – anti virus, antispyware, and firewall. AVG anti virus software is also considered one of the best antivirus softwares. Anti Virus Guard, or AVG for short, also includes antispyware and anti adware modules. It does not include a firewall, though. You can use Comodo firewall or better still, Zonealarm to get the best computer security. Though both firewalls are good, the messages originating from Comodo firewall are slightly hard to comprehend when compared to ZoneAlarm’s messages. AVG is one of the most used software to get complete anti virus protection. AVG Technologies, the company, also provides a subscription based Computer Security suite. This suite for standalone computers and networks offers comprehensive computer protection as they include antispyware, anti adware, firewall, and several other security components in addition to the antivirus module. It also includes identity protection that covers passwords, credit card information, and other similar data so that you can safely shop online. This concludes the list of the top three best anti virus software. Please note that the list was prepared based on CNET statistics and the software ranking may vary when you check out anti virus protection reviews at other websites. If you are looking for subscription based anti virus software, you may want to check out Top Paid Internet Security Suites. In case you are interested in software that helps you maintain your computers, please check out Microsoft System Performance – Best Tools for Improving Windows System Performance.